In a previous post, I told you about the Bristol Folk House, an adult education centre and one of my favourite place in Bristol.Last month, I attended their Vintage hairstyling workshop, and yesterday, I went back for the Lampshade workshop. How could I have resisted?! 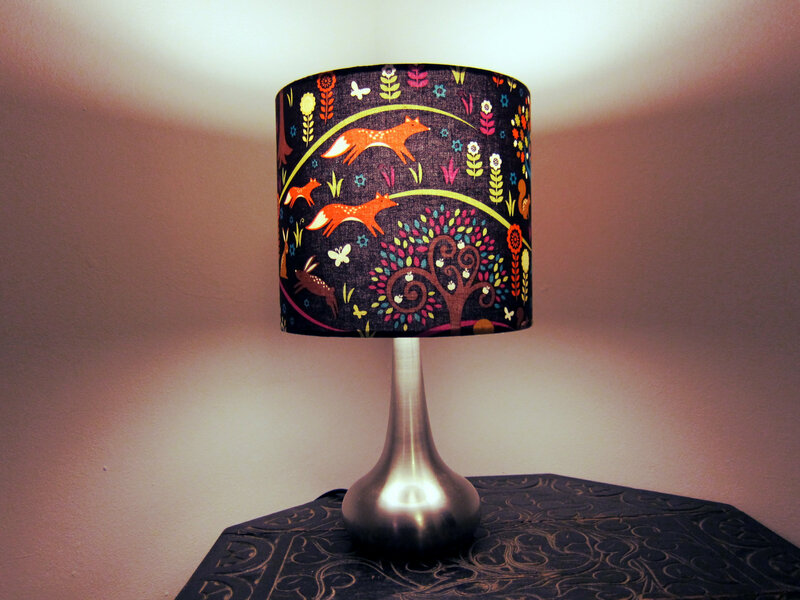 For this workshop, my project was to make a lampshade for a table lamp for my living room. The colours are in that room are a mix of white, grey and a few touches of orange so I thought that something bring a few more colors but still a bit of orange would be perfect. And I had been looking for an opportunity to bring some foxes into that room, so I decided to search for some fabric with foxes. 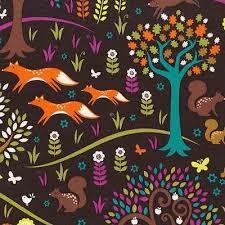 I found many but nothing amazing, until I discovered the online store Sew Scrumptious and found this gorgeous Norwegian Wood Too – Foxtrot fabric by Michael Miller. The workshop lasted 3 hours, which was more than enough time to make our lampshade, as it was surprisingly rather straight forward. The key thing being to be meticulous when taking measurements (‘measure 5 times, cut one time’). After the workshop, I visited a few charity shop to find a lamp stand, and I found a nice silver one for just £4 that looks perfect with the lampshade. And as I discovered once home, it’s a touch stand! WIN! Making this lampshade gave me the lampshade bug and I already made another one which I will show you in a future blog post. And now with the rest of this beautiful fabric, I will make a cushion for the sofa (like if my sofa was not already full of too many cushions! ).